I was sent a copy of this book in return for my honest review. Many thanks to Kim Nash at Bookouture. This is a beautifully constructed novel that alternates between the Pisa of 1999 and that of the 12th Century. 1999 – Sam has rushed to Pisa to be with her husband Michael who has suffered a stroke while filming a documentary on the iconic ‘Leaning Tower of Pisa’. But she is conflicted: before he left, she discovered that Michael had been unfaithful to her, a matter that they had not had the chance to resolve and she is therefore unsure of where exactly her marriage is heading, if anywhere. Added to that is her feeling of being unfulfilled professionally. As much as she adores her three small children, her career as a journalist has fallen by the wayside, and she desperately wants to return to some sort of occupation to keep her mind more occupied. 1171 – Berta Di Bernardo has married well. Her husband Lorenzo, while much older than her, keeps her in relative luxury, indulging her whims and ensuring that she’s well cared for during the many months he spends on his travels. She becomes a well-known patron to young artists, writers, and other creative characters, and brings them together at regular parties where she’s able to introduce them to would-be sponsors. One such protégé is the handsome young stone-mason Gerardo, whose life is forever changed when he is introduced into her household, catching the eye of Berta’s young maid, Aurelia. But Berta is not just the beautiful, sly manipulator that many presume her to be. She is also a keen artist and architect, and will do whatever it takes for her dream project to be brought to fruition: A tower of such beauty and grace to be built as a tribute to Pisa and her people, that it will astound all who view it. 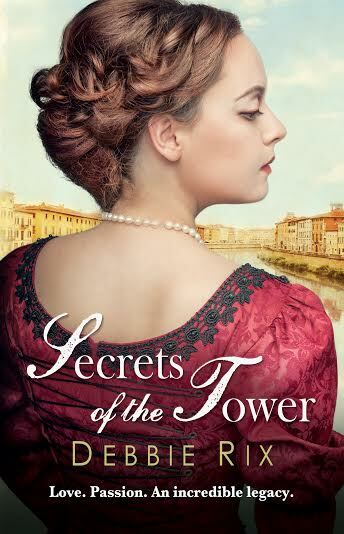 Based loosely in historical fact, the author has created an enchanting story around the little that is known about the history of the Tower. To say I loved this book would be an understatement! I devoured it! To be honest, at times I skimmed through the ‘modern day’ chapters in my haste to go back to 12th century Pisa and to follow the storyline and the rich historical element that was so beautifully depicted I felt I was living it! The author’s ability to describe ancient Pisa is quite uncanny – her painstaking research must have been exceptionally lengthy and is absolutely meticulous. This is even more evident in the extensive explanations of detailed architectural calculations! It’s quite mind-boggling. Ultimately, Secrets of the Tower is a love story. It delves into an enduring love between a husband and wife, despite the pitfalls they must encounter. It tells of the intricacies of a love between a young man and his older benefactor, and explains how at the same time, and in an entirely different way, he is also able to love a young, beautiful girl who hints at everything he wants from his future. Above all, it speaks of a woman’s love for her city, and for her vision of a structure like no other, that will remain as a mysterious legacy centuries after her demise, to remind everyone that their dreams can be achieved. Debbie Rix began her career at the BBC where she was a presenter on BBC’s Breakfast Time before moving to present a variety of factual programmes. She is now a Communications Consultant, specialising in the charitable sector.